The Essential Glue Pad offers a clear adhesive for all your creative needs. The Essential Glue Pad kit includes a dry pad with an inner protective liner and one bottle (0.5 fl oz) of adhesive. Adhesive bottles are also sold separately. Apply glue liberally to the pad. Press stamp several times onto the pad to gather as much glue as possible. 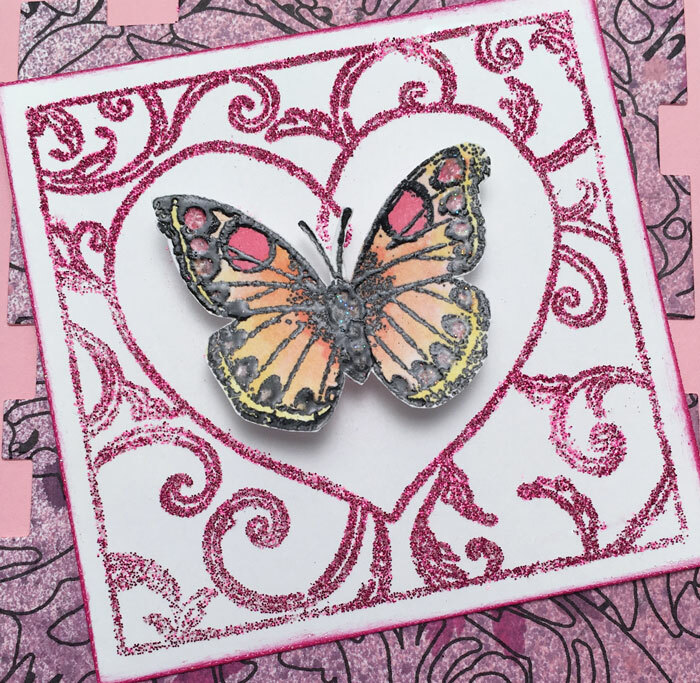 Important: After applying the medium to the glue, place a piece of scrap paper over the project and press down with hands or a brayer, or burnish with a bone folder. Pressing the medium into the glue will encourage the glue to “grab and hold” the medium. Replace inner liner after use. Use on coated or dense cardstock for best results. Make sure the pad is saturated with glue -- the more, the better. Textured and handmade papers are not recommended, as glue absorption may be uneven. If a paper soaks up ink quickly or unevenly, it will do the same with glue. Always allow glue to dry completely before removing any excess medium that has been applied. We recommend 15 minutes, but the time can vary depending on paper type and mediums used.